This beautiful moon shines so bright it brings happiness and delight? 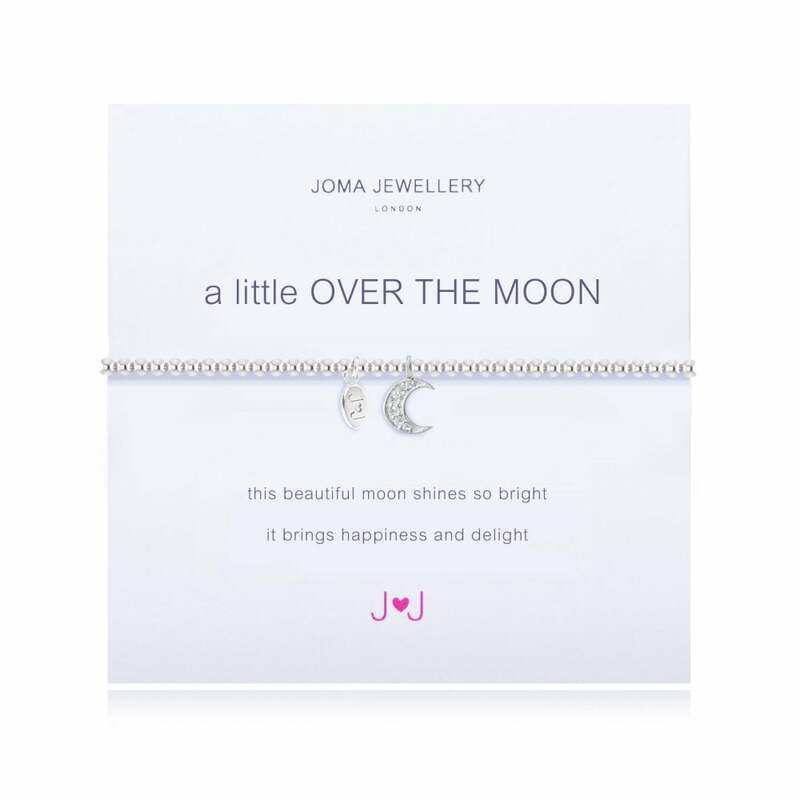 This stunning Over The Moon Bracelet by Joma Jewellery is an ideal gift for who has had some exciting news and is over the moon with joy! Features a Silver plated beautiful crescent moon, adorned with tiny crystals. "This beautiful moon shines so bright it brings happiness and delight"
This stunning Over The Moon bracelet features a silver plated crescent moon with six delicate clear gems will make a special gift for any occasion and would be perfect for anyone who has had some exciting news and is over the moon with joy. It is displayed on a presentation card which is then placed in a beautiful gift box? all ready to gift. You can also write your own personal message o the back of the presentation card to personalise your gift. Each piece of Joma Jewellery comes in a gorgeous Joma gift bag with a gift tag for you to write the recipients name for easy peasy gift giving. Please keep your item dry at all times and away from perfume and body creams in order to preserve any plating and to ensure your piece lives a long and beautiful life.